Smiley face. Dinosaur. 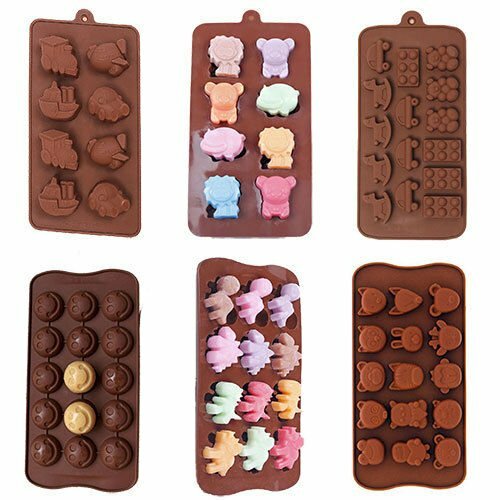 The molds are Silicone trays are perfect for Jello, Ice cubes, soap, baking, candy molding and chocolate molding. silicone has shown that it is particularly suitable for baking small/individual cakes and those that are quite delicate in nature (such as flourless cakes) as the flexibility of the pans allows you to easily 'push' the cake out or peel the silicone away once they are baked. Approximate measurement of each tray is 8 inch By 4 inch. They are random colors and there will be no color selection.